Alibaba Group has hired two veterans of China’s music industry to run a new music division as the e-commerce giant continues to build out its digital entertainment businesses. The formation of Ali Music Group includes the integration of two Alibaba-owned music streaming apps, Xiami and Tiantian. Alibaba brought in Gao Xiaosong to serve as chairman and named Song Ke as Chief Executive Officer. 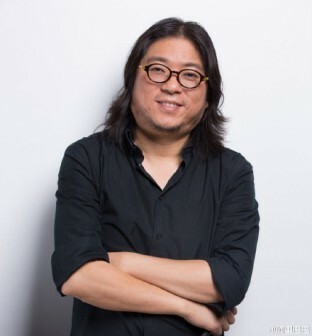 Gao is a popular singer-songwriter, film director, talk show host and Internet celebrity in China; Song is an influential music industry executive who served with Warner Music and co-founded China pop-music label Taihe Rye Music. “It is hoped that the two will creatively disrupt and catalyze the music industry (by) combining their cumulative experience … with Alibaba’s capabilities in the Internet space and Big Data,” Alibaba said in a statement. Following the announcement, Gao wrote on his official Sina Weibo social media account that Ali Music Group “will become a world-class music business operation,” noting that 20 years ago, he and Song teamed up to form Taihe Rye Music. Alibaba “will be the last stop for us as music executives,“ he wrote. Alibaba reportedly has rights agreements with BMG Records, Rock Records and HIM Records to use the labels’ products on its platform. The deal with BMG, announced in March, brought more than 2.5 million copyrights to Alibaba covering work by artists including Kylie Minogue and the Rolling Stones, according to Reuters. Alibaba has been aggressively expanding its digital entertainment capabilities, anticipating that the sale of music, film and television content will become a major revenue driver in China in coming years. Late last year Alibaba established a movie production house, Alibaba Pictures Group, after acquiring a majority stake in ChinaVision Media Group.